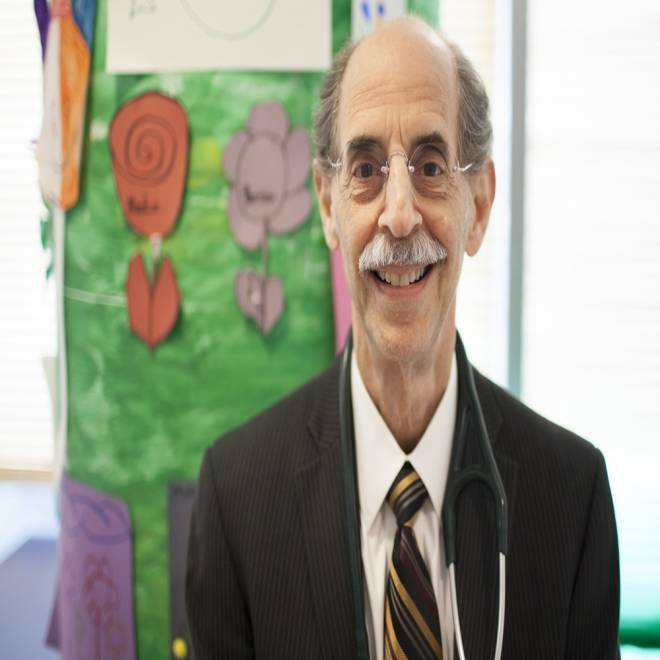 Dr. Benard Dreyer, Professor of pediatrics at New York University and co-chair of the Academic Pediatric Association task force on childhood poverty, has been taking care of children, many of them quite poor, for nearly four decades. America’s pediatricians are sounding an alarm about what they call “the most important problem facing children in the U.S. today”: childhood poverty, which they say is a serious threat to children’s physical and mental health, and a barrier to their development, achievement, and future. Dr. Benard Dreyer, Professor of pediatrics at New York University and co-chair of the Academic Pediatric Association task force on childhood poverty, has been taking care of children, many of them quite poor, for nearly four decades. He spoke recently to NBC News about how and why childhood and family poverty can contribute to everything from obesity to poor performance in school, and can have a lasting effect on a child’s chances later in life. NBC News: You call child poverty the most important problem facing children in the U.S. today. Dreyer: For some bizarre reason, children are the poorest group in our society, as opposed to being protected from poverty. Twenty-two per cent of children live below the federal poverty level but 43% are below 200% of federal poverty level. Almost half our children are in danger. Many of the problems that we as pediatricians care about and want to work on to help children are based in the fact that they’re poor. We know if they don’t have a good early childhood, it’s difficult to catch up. I’ve spent my life taking care of children in poor families. My families are all poor, many are loving families, they’re not bad parents, but they often don’t have the resources to really protect their children or advance their children’s development. Tell me what you see [in your patients]. I see toxic stress. That means not being protected as a young child, having a lot of stress due to anxiety or poor parenting. We now know that actually shapes the way the brain works. A lot of the health problems children have are based in poverty: under-nutrition, obesity, chronic diseases like asthma. Also, higher infant mortality, accidents and mortality related to accidents. We see poor language development. Poor cognitive development. Poor school performance. Their language is delayed, they don’t speak when they are supposed to speak, they don’t speak as well as they need to speak when they get to school. Many of them require special education. You could create a list of health issues and what I would call issues of well-being, all of which are very much related to being poor. And partly it has to do with the parents being poor and being stressed out about all the things you have to do when you’re poor. Whenever I ask families, ‘are there times when you or your children go to bed hungry?,” the answer is always yes. If I don’t ask it, they don’t tell me those things. It is heartbreaking. What is it in your personal and professional experience that made you realize this is an issue? We were seeing what I would call “nursery school dropouts.” They couldn’t make it in Head Start. The Head Start teachers would call us and say, you need to suspend these kids, they can’t behave, they’re disrupting the class. And I’d say, I will not suspend them, you have to help them. That’s when it became clear that at 3 or 4 years old, they were already in a situation where their social and emotional development and their language development was so delayed or problematic that they were never going to make it. There was no way they were going to catch up. That made us start to think, what is going on here? What can we do about it, what should we be doing about it, in a bigger way? Think about this. We spend somewhere between 8 and 16 thousand dollars a year on public education for every child in the country starting at age 5 or 6. Why don’t we do that starting at birth? You give me $8,000 to spend on a child from birth to 5 years, think of what we could do with it! There’s a great economic argument for doing something about childhood poverty. If I did give you $8000 per year for every poor child in this country, what would we get? We start at birth. We would have home visiting for every low-income family. We would have a variety of other parenting supports. I include some early Head Start for the most at-risk families. You get children who get to school with relatively normal early childhood brain development so they are prepared to learn in school. They’re not like poor children are now, 2 years behind middle class children. I certainly want everybody in high quality preschool from 3 to 5. I also want high quality child care. The kind of child care most of my families can afford now is terrible. They’re not learning, so their brains are not developing. If you give me $8000 a year, we could do a pretty good job. This is not world hunger. We know what to do about it. We just have to do it.